Paisley & Jade - WebWorx, Inc. Throw Back Tuesday: Revisiting The Launch Of Our Project, Paisley & Jade! Paisley & Jade is a boutique-style rental company and prop house located in the heart of Richmond, Virginia, who maintains inventory of gorgeous furniture and decor pieces that can be used to create one-of-a-kind visual displays. Paisley & Jade also offers Coaching Sessions to other vintage rental companies across the U.S., which have proven to be a hit! 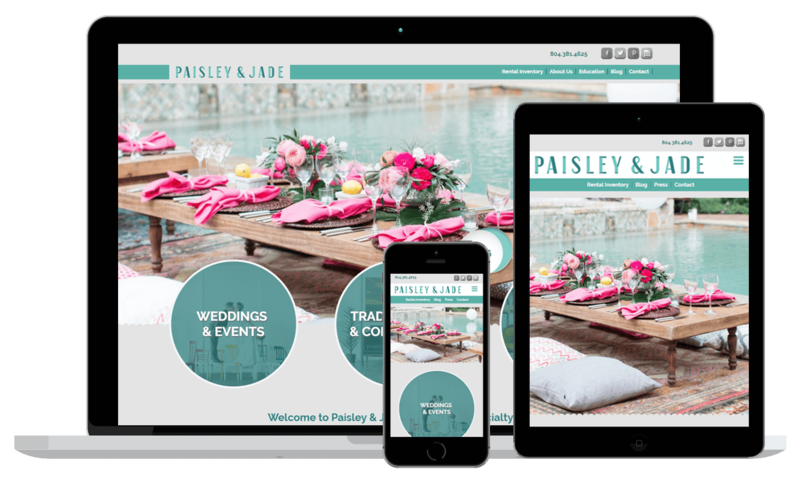 You can view the website at Paisley & Jade.